‘Fight Flashback’ is a new feature on the site in which I analyse past fights. The bouts could be from as far back as the 1930s or as recent as last year. The point is that they have already been broadcast and they are worth talking about. If you are boxing fan, you will hopefully enjoy these discussions of fights and they may even motivate you to check out the fights that you missed. This week, I am breaking down a middleweight title fight from September 2016: Golovkin vs Brook. This 160 pound title clash carried the classic narrative of the empathetic underdog, versus the indomitable super-champion. Brook, then IBF welterweight champion, was stepping up two weight classes to meet Golovkin. 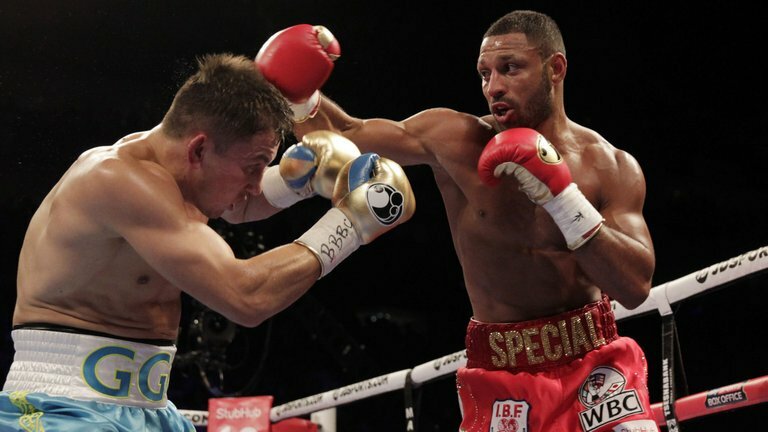 Facing a monster like ‘GGG’ was a big ask but Brook’s willingness to give it a go won him a lot of respect. ‘Special K’ would win a lot more admiration before the tolling of the final bell. The fascinating narrative bolstered the potency of the big fight feel. 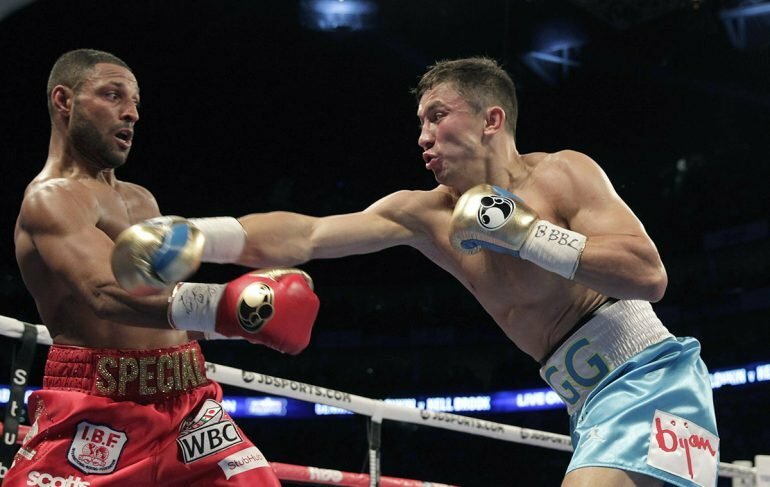 Golovkin and Brook strafed to the centre of the ring with a roaring hurricane at their backs. The first round was lively to say the least. Golovkin hurt the visibly smaller man early, fencing him in and stunning him with clubbing shots. However, to the amazement and joy of the partisan crowd, Brook’s blistering combos began to find their mark. Perhaps the weight discrepancy worked to the challenger’s advantage in one way. Brook was used to much lighter, more nimble opponents. As a result, he was quick and conditioned, difficult to pin down. Brook made a valient effort but Golovkin’s power and relentless pressure was overwhelming. What made this fight so entertaining was that there were flashes of greatness for the underdog. Despite the monster in front of him, Brook would occasionally pipe up with a stinging combination. For a collection of fleeting moments, he made everyone into a believer. A fractured orbital bone forced Brook’s coach to throw in the towel in round five. Brook voiced concerns about the eye in his corner between rounds. In an inspiring show of courage, he still danced and put on a show for the crowd. It was almost as if he was laughing in the face of the Grim Reaper; cartwheeling through a minefield. September 10th 2016 showed us the mental fortitude of Brook and the astonishing skill of ‘GGG’. The pound-for-pound king was forced to raise his game in order to shut out an audacious challenger. He was forced to look very human in the process. Shades of Dempsey vs Carpentier. ‘Big drama show’.